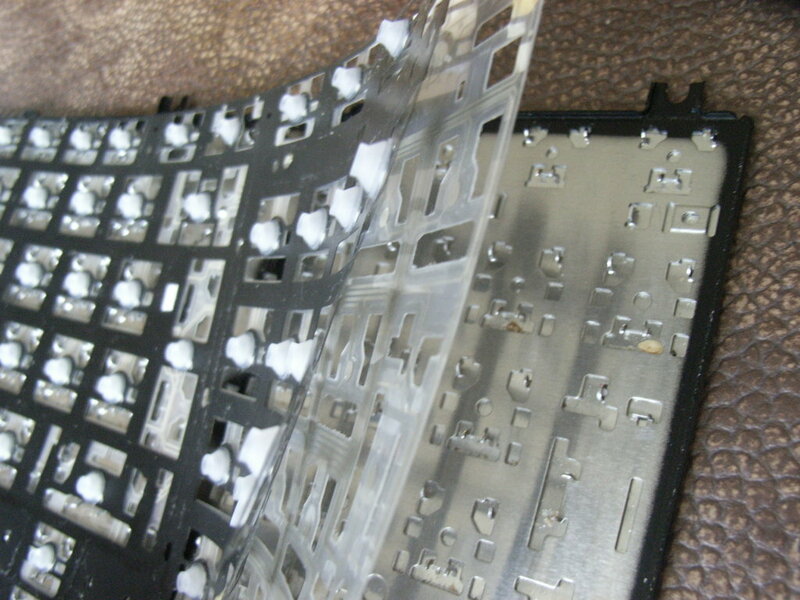 Here a dissection of a chiclet Keyboard from a recent Toshiba consumer laptop - it was spoiled with some milky coffee and some keys had stopped working a few hours later. 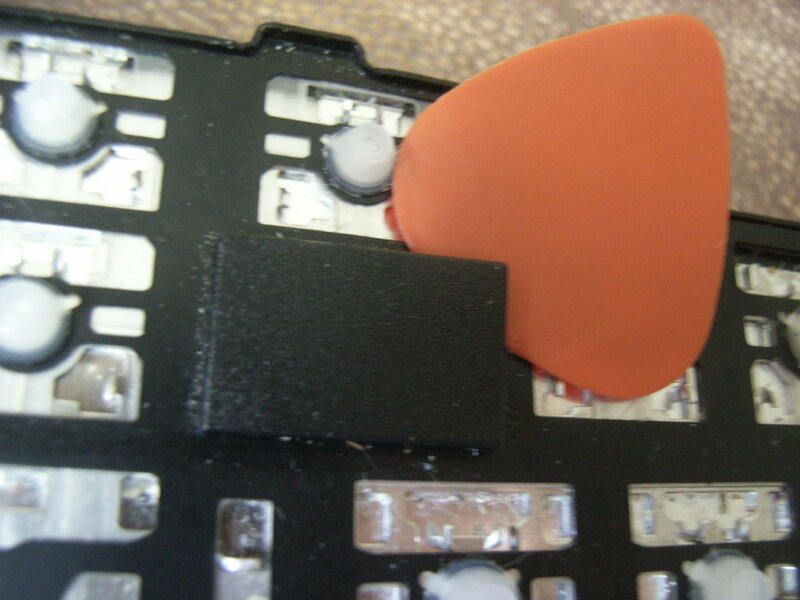 It usually doesn´t take too long before corrosion happens on the keyboard circuits and in this case - to worsen things - the owner did not take any countermeasures beyond cleaning the superficial coffee (although I doubt it could have helped much here, as the strong capillary forces between the keyboard foils will always retain some of the liquid between them). 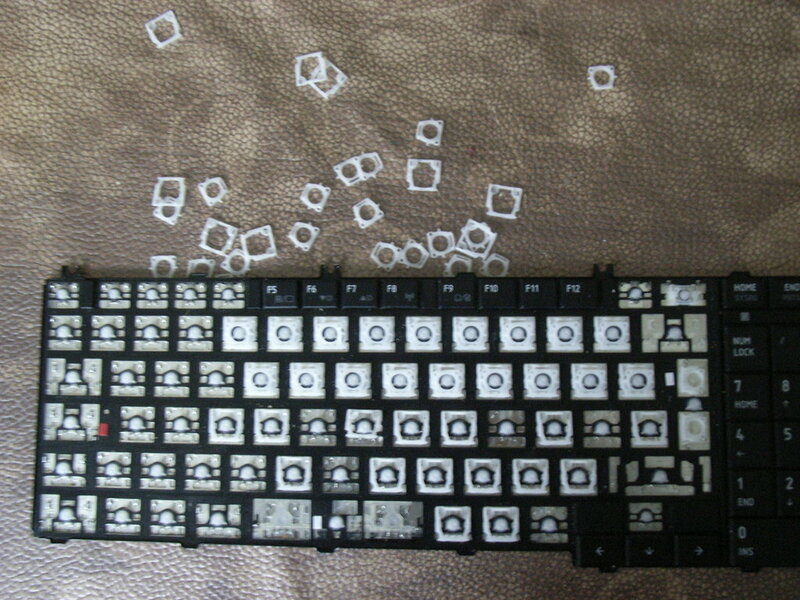 In some cases faulty laptop keyboards can be repaired and I honestly expected this one to be repairable, too. 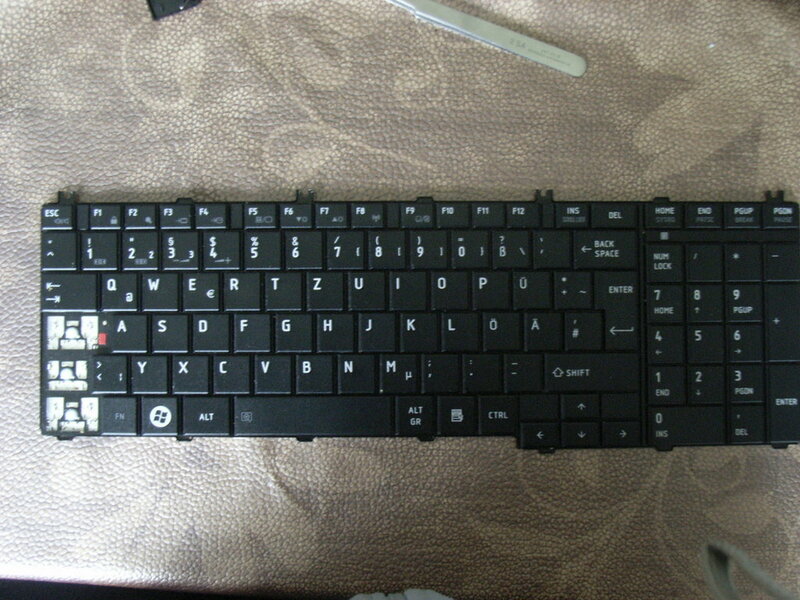 At first I checked if the buttons can be removed without damaging the scissor-switches below -> The keyboard clearly passed this test. Although I used some good tweezers here, getting all buttons off was an annoying and time consuming task...I doubt that many people out there are doing things like that in their leisure time - feel free to drop me some lines in the comments below, if you are one of them *smile*. 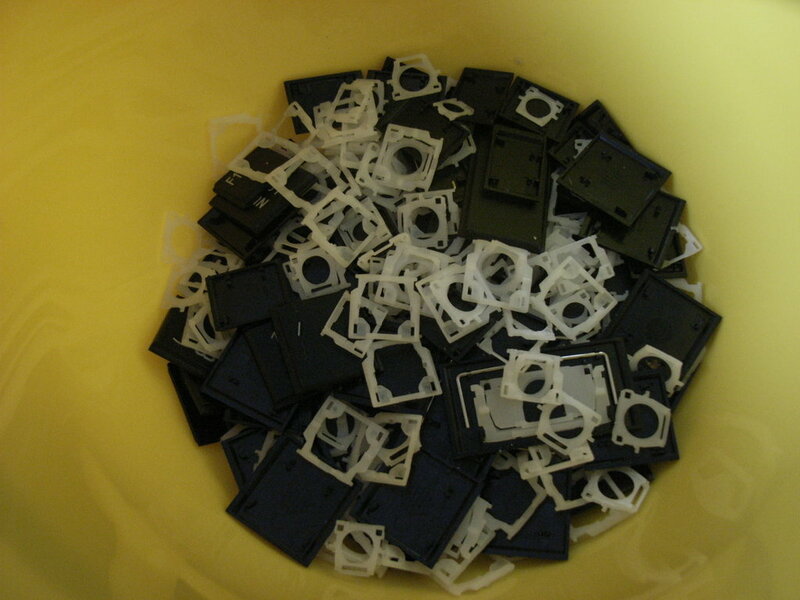 I also had in mind to clean the keys afterwards - I usually prefer soapwater or some wash cycles in the washing machine (of course you have to place the keys in an old sock for that...). With the help of my trusty guitar picks...I worked my way through. And this is where I had to stop. 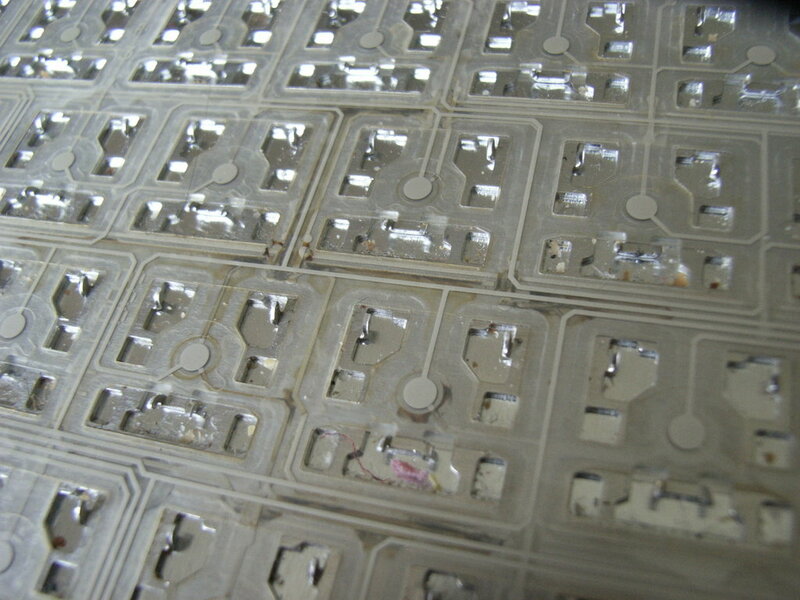 The foils where not only glued together (I could have solved this problem with a heatgun...). 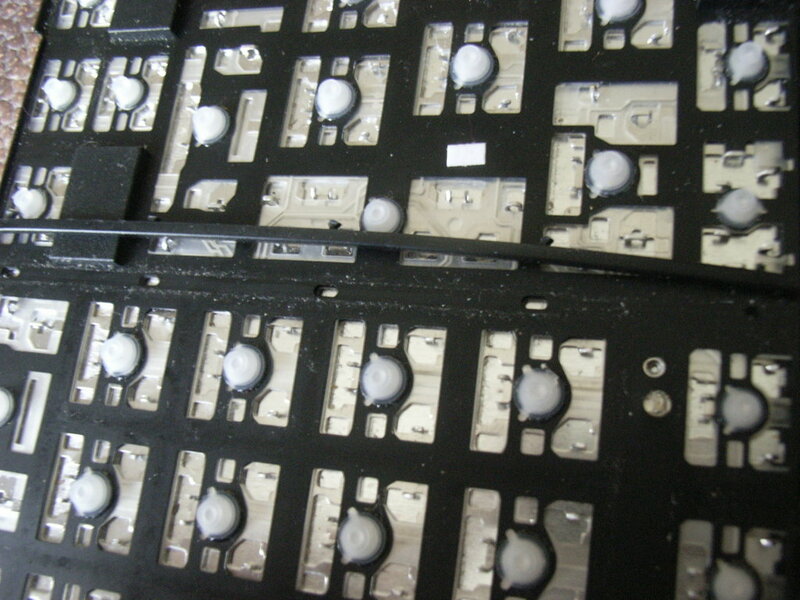 The manufacturer also decided to fix them together by melting - thus I had to give it up, finally. Here you see the original damage (there is still some liquid coffee inside which will cause corrosion to continue for some time...).